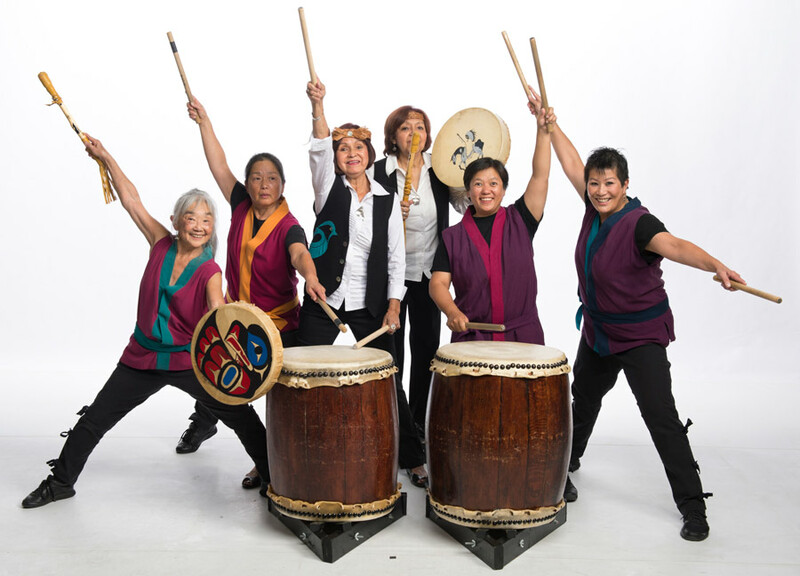 The festival is excited to bring to our community this unique collaboration of singing and drumming between the all-women Japanese drum group Sawagi Taiko and the First Nations performance group Tzokam. Led by composer, producer and traditional singer Russell Wallace, Tzokam is a Lil-wat family group who offer traditional and contemporary songs including drumming and dancing. The combination of these songs with the exploratory nature of Sawagi Taiko’s approach to the taiko art form makes for a fascinating afternoon of world culture and indigenous rhythms. It has been a year since the extraordinary Reconciliation Week 2013 and the reconciliation walk across the Georgia Viaduct took place in Vancouver. The festival carries forward this important initiative between First Nations and settler communities with a “talk-umentary” evening of film, stories, guest speakers and live performance. Presentations include, among others: Angela White of the Indian Residential School Survivors Society will lead a conversation about the need for all communities to work together towards reconciliation; Imtiaz Popat will share a classical chant to Neelamjit Dhillon’s track “Crossing Pacific”, about the anchoring, isolation and ultimate denial of the would-be immigrants aboard the ship Komagata Maru in 1914; and we will screen the film Stolen Memories, about filmmaker Kagan Goh’s quest to return a photo album “stolen” from a Japanese Canadian family during the Japanese Canadian internment during WW II. What alchemy inspires writers to transform their worlds and their stories? How is a real life community re-imagined in the fictions of new plays? Writers whose work has arisen from this place on Coast Salish territory share their thoughts about the interplay between inspiration, place and fiction. Hosted by Playwrights Theatre Centre, in collaboration with Heart of the City Festival.